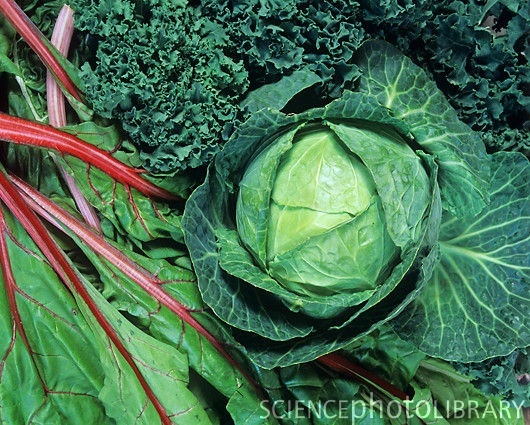 Leafy green vegetables. Spinach, rainbow chard, dandelion greens, watercress, red chard, bok choy, kale, yellow chard (I know, there are LOTS of different colors of chard…who knew?!). Leafy green vegetables. What kind of feelings does the phrase evoke in you? Just imagine a group of hungry school-age children playing outside, and a mother who calls out to them, “Who wants to come in for some nice leafy green vegetables?” Yeah…probably not so well-received, huh?! From an early age, I was a very adventurous and active kid. I wasn’t terribly picky, and would eat just about anything I was served, including vegetables (unlike most of my friends who turned their noses up at them). Growing up with tomboy tendencies, I would ride my bicycle and skateboard all around the neighborhoods, attempting tricks (usually failed ones that left me scraped up), sweating, breathless, and looking for friends who would play football or kickball with me. I don’t think I ever owned a doll, and wasn’t interested in playing inside unless it was a rainy day. When I was 10 years old, I lived across the street from a library, and visited it frequently (devouring stacks of books at a time). On one visit, I found a “self-help” book by Brooke Shields (which, according to Google, never existed…maybe sales were poor, or her “help” wasn’t so great after all?!). I was deeply affected by her book, and her suggestions on eating healthy, exercise, skincare, fashion, etc. She inspired me to try new things and be active throughout my childhood and into my young adult years. Today, I have the same mindset…activity is just a natural way of life for me, and I am always willing to try a new food if it holds a promise of making me healthier. I generally eat well 90% of the time, with an occasional treat (my motto is “everything in moderation”), mostly fruits, veggies, whole grains, and lean proteins. However, my relationship with leafy green vegetables has been a love/hate one…I know that they have TONS of nutritional benefit, but I just think they’re icky! During a VERY stressful time in my life in 2010, I was diagnosed with cancer. At the time, I was working lots of hours, eating on the run much of the time, sleep-deprived, and not taking care of myself as well as I could have been. For the past year or so, once again, my life has been full of external factors that are quite stressful, and often I lack the motivation and energy to take care of myself as well as I should. My healthy eating habits had slipped a bit, so I was eating out more often (and therefore not making the best choices), not getting enough sleep, and just feeling run down a lot of the time. Not so long ago, I had a “come to Jesus” moment. Someone close to me expressed concern for my physical health, as she had been right by my side for all the treatment, surgeries, tears, and anger that came with cancer. She didn’t want to see me go through that again. I assured her that I would be just fine, but as I thought more, I realized that she was right. If I didn’t take control of my health, I could be putting myself at risk again, and I certainly don’t want that to impact my future, and that of my son. I decided there was only one thing to do: get over my dislike for leafy greens, and start incorporating them into my diet. As I pondered a bit more, I thought, “What if I were to blend them together with other healthy things like fruit, and maybe they wouldn’t taste so bad?” Then I was onto something. I dusted off my Ninja and started to play. 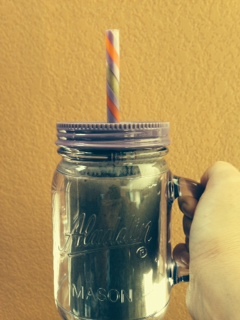 Spinach, kale, chard…I threw it all in there! But because I added fruit (and not just plain fruit…I bought it fresh, cut it into chunks and froze it, so my smoothies were thicker and colder…brilliant! ), and some type of liquid like coconut milk, I didn’t even taste those icky greens! Today I make it a point to “drink my veggies” and have one green smoothie a day, either to replace a meal or as a snack. It’s made a big difference in how often I get sick, my energy levels, and even my skin. Give it a try…one simple change in perspective, one simple thing you tell yourself (“I’m going to do one healthy thing per day!”) can make all the difference. Let me know what YOU do to better your health!